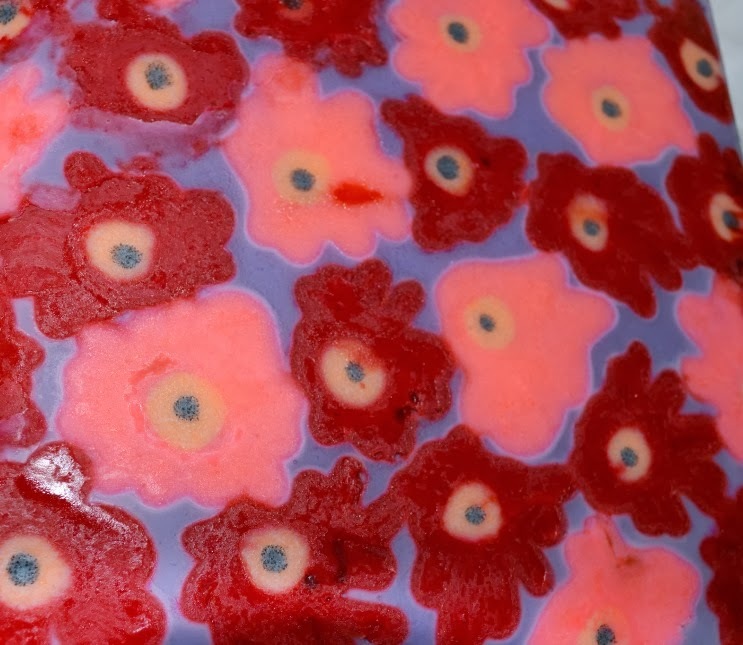 I would love to try your soaps! They look simple amazing, my fav is the snowflake one! Good Job!! Be proud of yourself and stand tall :) That´s amazing! I would love to try them, I've been thinking of making them myself just haven't built up the courage yet. We love your snowflake design! Nice crisp lines! 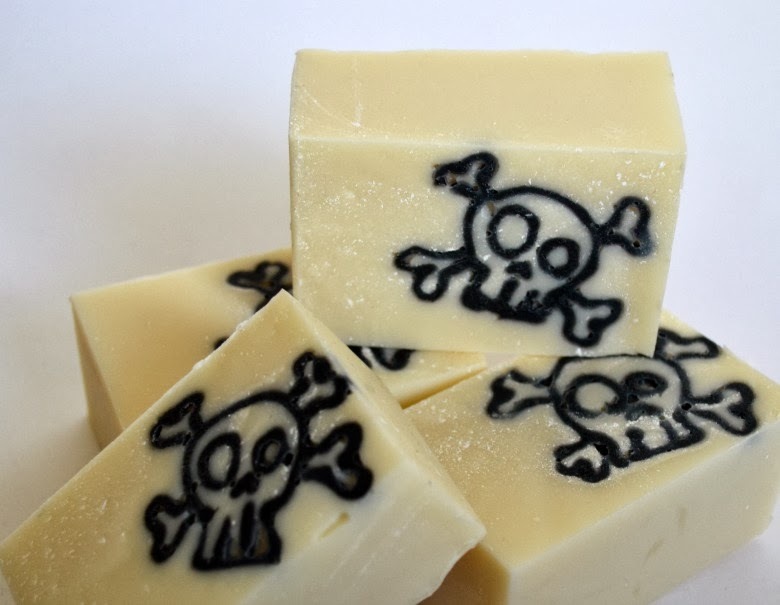 We'd love to try your soap but if we win we'll swap a couple of our bars with you! Me too, me too! My email address is pbilenski4786@comcast.net and I would love to try one of your soaps. I would LOVE to win some of your soap!!!!! Me too! Love the pirate and snowflakes the best. My grandkids would love to find those in theit stockings. 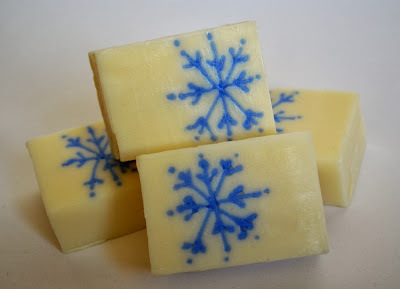 How appropriate the snowflake soap is since it snowed here a couple of days ago! I would love to try one of them. Thanks for the chance. Great job on all 3! All so unique and different! I think you're on a roll! I would love some of your soap! But you're probably not planning on mailing to the Netherlands, right? Nevertheless, awesome job!